Recfishwest welcomes today’s release of the final management plan for Yawuru Nagulagun/Roebuck Bay Marine Park by the Premier, Hon Colin Barnett. This plan provides increased protection for the conservation values of Roebuck Bay while maintaining recreational fishing access to this vitally important area on the door step of Broome. Recfishwest supports measures that sustain and protect healthy oceans and quality fishing experiences. The management plan announced today provides a win for both conservation and the community and demonstrates recreational fishing is compatible with marine conservation objectives. 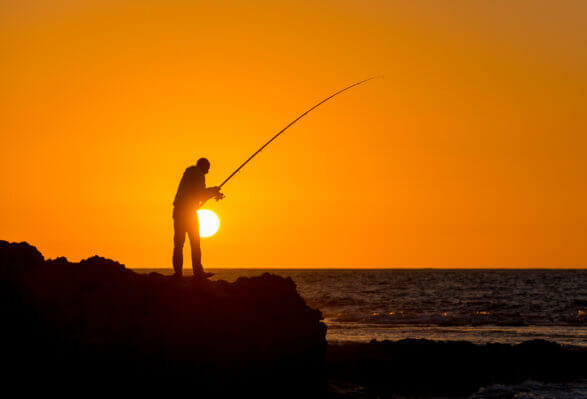 Recfishwest CEO Dr Andrew Rowland said the plan celebrates fishing as an extremely important and highly valued recreational and cultural activity within Roebuck Bay. “The management plan compliments current fisheries management and has struck a good balance between restoring, protecting and managing natural values of Roebuck Bay while allowing recreational use for all stakeholders”, said Dr Rowland. Former Broome Fishing Club President Jig Albert said management arrangements that ensure great fishing and protection of the environment are currently working in Broome and the community haven’t experienced this quality of fishing in decades. “We’ve seen a marked rise in key fish stocks, namely Barramundi and Threadfin Salmon, so the proof is in the pudding in terms of current management working,” Mr Albert said. The management plan also provides comprehensive protection for marine mammals which are already protected under the state Wildlife Conservation Act and the Commonwealth Environment Protection and Biodiversity Conservation Act. The new management plan is also important in fulfilling the cultural aspirations of the Yawuru people who will play a significant role in the joint management of this park. Recfishwest supports the Management Plan and look forward to working with both Parks and Wildlife and the Yawuru PBC in promoting stewardship of the Roebuck Bay environment.